Please send me more information on Rose Hill at, Bluffton Thank you. On the 960 home sites in Rose Hill Plantation, you will find a variety of lifestyles and residences that include full-size lots fronting lush golf fairways, country estates of 2.5 to 4 acres complete with custom barns, stables and horses grazing in fenced pastures, and Lowcountry-styled residences with marsh and river views extending to the Colleton River. 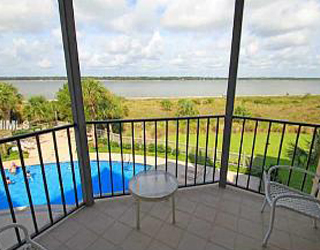 Several expansive estate homes feature private docks and deepwater access. Famous for its Equestrian Center, festive polo matches, 50-acres of open pasture and 17 miles of greenbelt riding trails, golf and tennis players also are at home in Rose Hill. There is an annual Property Owners Assessment (POA). Membership in the Rose Hill Golf Club is not required for property owners. The North Side – On the north side of Hwy. 278, Rose Hill features larger, multi-acre, estate sized parcels and homes. The renowned Rose Hill Equestrian Center anchors the North Side community, as well as the historic Rose Hill Plantation House. The South Side – Located just across the highway with its own security gate, the South Side of Rose Hill includes the Rose Hill Golf Club and typical full-size lots with single family homes. 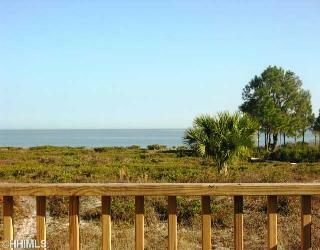 The North side offers an Equestrian Center, swimming pool, two hardcourt tennis courts and the Colleton Point area with boat ramp, dock and meeting center. The South side includes the 6,961-yard, 18-hole Rose Hill Golf Course, complete with clubhouse facilities, dining, two swimming pools and two clay tennis courts. There are approximately 17 miles of roads, and walking/bike paths in the Plantation. The magnificent Rose Hill Plantation House mansion, which is privately owned, still graces Rose Hill with its sweeping marsh and river views and Gothic architectural style, and is available for rental for weddings and special events. The North Side of the Plantation has an acclaimed Equestrian Center consisting of stables, paddocks and a polo field. Members of the Association have access to trails that weave in determined areas throughout parts of the North side of the Plantation. This Equestrian Facility provides Rose Hill residents an amenity that is unique to the area. The South Side residents enjoy luxurious views provided by an 18-hole golf course laced with ponds and lagoons and Magnolia trees, creating a Lowcountry paradise that is home to alligators, deer, exotic water fowl and many other Southern flora and fauna. There is a full service clubhouse and restaurant on site. The first residents of Rose Hill Plantation were the Yemassee Indians, but ownership of the Plantation dates back to Sir John Colleton and later, the Kirk family who grew indigo and cotton in the mid nineteenth century. In the early 1980’s the property was purchased by the Rose Hill Plantation Development Co. and soon began developing the equestrian-themed residential community. How many active real estate properties are currently listed for sale in Rose Hill , Bluffton? Currently there are 70 listed for sale. Are there any foreclosures currently for sale in Rose Hill , Bluffton? No, currently there are no active listings in Rose Hill with a foreclosure status. Are there any short sales currently for sale in Rose Hill, Bluffton? No, currently there are no active listings in Rose Hill with a short sales status. What is the price range and average price for residential homes in Rose Hill ? The price range of the 40 listed homes for sale in Rose Hill is between 238K and 6,500K. The average price is 746K. Click here to view all residential home listings in Rose Hill. What is the price range and average price for residential land and lots in Rose Hill ? The price range of the 30 listed land and lots for sale in Rose Hill is between 61K and 350K. The average price is 136K. Click here to view all residential land and lots listings in Rose Hill. What amenities a buyer should expect to find in Rose Hill ? What kind of views a buyer should expect to find in Rose Hill ? About a 10-minute drive from Hilton Head, off Hwy 278, stately Rose Hill Plantation is one of the original and most beautiful “off-island” communities. Centrally located with easy access to Hilton Head, Beaufort, Olde Town Bluffton and historic Savannah, and minutes to shopping, restaurants, schools, churches, medical facilities and recreational facilities, Rose Hill is unique in the Lowcountry for several reasons. It is divided in halves geographically by Hwy. 278 into the North Side and the South Side. The North Side, often referred to as the Estate Side, boasts larger residences situated on equestrian estates or multi-acre parcels, many of those offering frontage on the Colleton River. The South Side is referred to the Country Club side, and is home to the 18-hole Rose Hill Golf Club. At 2000-acres, Rose Hill also has two separate security gates, one for each half of the community on either side of Highway 278. 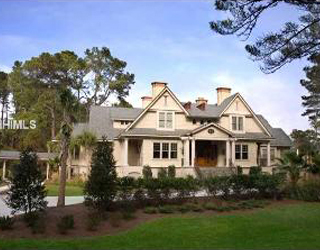 Rose Hill is one of the largest completely residential developments in Bluffton.